At Zorba's, we pride ourselves in offering a wide range of catering menu options. 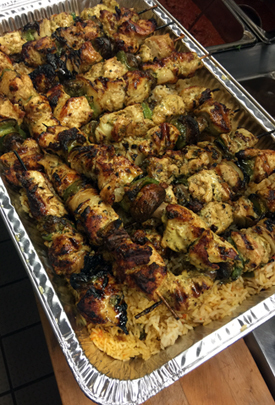 All items on our menu are available for catering with half or full tray options. We can customize a menu package that fits your budget and your tastes. Let Zorba’s take care of your next dinner party, business lunch or special occasion. Call us at (804) 270-6026 for more information and ordering details.